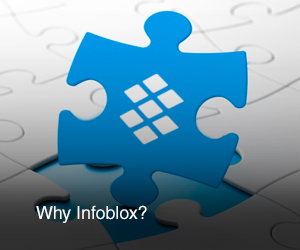 Infoblox is committed to ongoing standardization, certification and cloud-computing leadership. We’ve been serving on-premises and hybrid-cloud government customers for years and have the experience and expertise to help you build a flexible cloud-enabled enterprise. Is the market-leading DDI platform that works on multiple FedRAMP infrastructure clouds. Has operated in the government cloud environment since 2016 and serves a breadth of government customers. Has been Common Criteria-certified since NIOS 7.1 (2015). Is FIPS 140-2 and Common Criteria certified on NIOS 8.2.6. New or existing government customers seeking back-office or cloud DDI infrastructure guidance and solutions can contact the federal account team for more information. Infoblox has been approved for WSCA (Western States Contracting Alliance). If you would like to purchase off this contract, please find a partner contact on the spreadsheet below and contact that person to request a quote. If you have any questions, please email wsca@infoblox.com. Partners: If you would like to be able to sell via the Infoblox WSCA contract, please email the states you are requesting along with a contact name, address, email, phone, and Federal Tax ID number to wsca@infoblox.com. Participating resellers will have to sign a short addendum committing to WSCA agreement compliance and regular reporting. Infoblox is working with Computer Sciences Corporation (CSC) to certify Trinzic DDI for Common Criteria EAL2 as dictated by NIAP. Infoblox is also participating in the Cryptographic Algorithm Validation Program (CAVP) to ensure all FIPS-approved cryptographic algorithms used in Trinzic DDI meet the FIPS 140-1 security requirements. State and local governments rely on information technology to help deliver quality services to constituents. Failure or even brief disruption in a state or local governmental agency’s network can affect law enforcement, public health, citizen privacy, or many components of modern life, and can even impact national security. Network automation is one way that state and local governments accommodate shrinking budgets, staff cutbacks, and increased workloads and still perform at a high level and plan for the future. Network automation frees IT staff to implement cloud projects, incorporate virtualization, deploy IPv6, and accommodate compliance issues. Infoblox is helping state and local governments meet demands for agile, resilient and secure network services. We deliver business agility through network automation for installations of every size, from complex state networks to modest local operations—and every kind of network in between. Our products free state and local government IT departments to be more strategic and allow them to respond quickly to changing demands from their constituencies. Through our automation solutions, state and local governmental agencies streamline their operations, reduce their capital expenditures, and reallocate their skilled staff to concentrate on strategic programs. Your peers in state and local agencies are leveraging Infoblox around the country.